Got my paintings back after the awards ceremony for Santa Clara County's Plein Air Art in the Parks event (see my previous post). 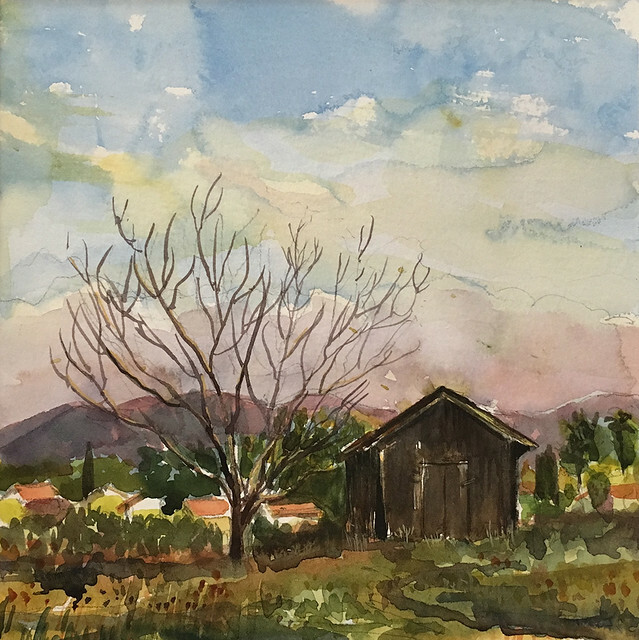 This is the watercolor I painted during the Quick Draw competition, at the Martial Cottle life estate. We had to paint it, name it, and frame it on site. I titled it "Old But Not Forgotten."